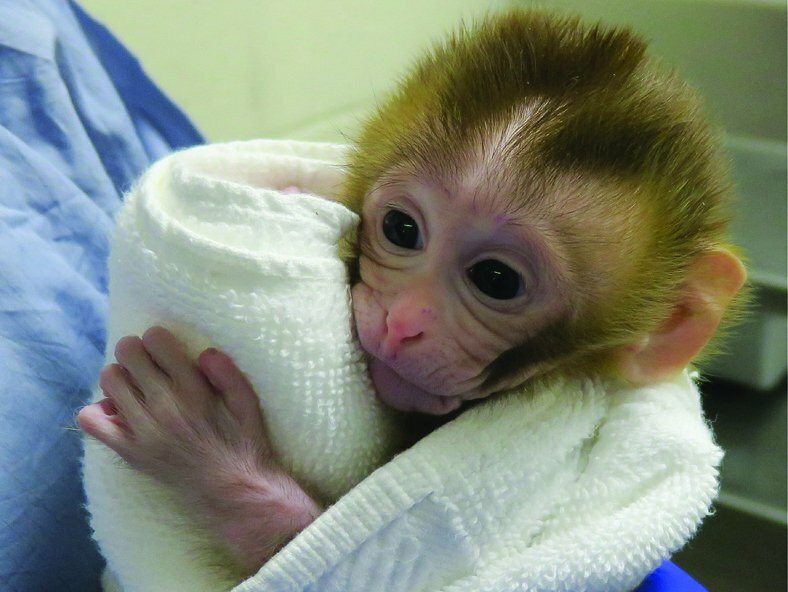 WASHINGTON — Scientists are closing in on a way to help young boys undergoing cancer treatment preserve their future fertility — and the proof is the first monkey born from the experimental technology. More and more people are surviving childhood cancer, but nearly 1 in 3 will be left infertile from the chemotherapy or radiation that helped save their life. When young adults are diagnosed with cancer, they can freeze sperm, eggs or embryos ahead of treatment. But children diagnosed before puberty can’t do that because they’re not yet producing mature eggs or sperm. Orwig’s team reported a key advance Thursday: First, they froze a bit of testicular tissue from a monkey that hadn’t yet reached puberty. Later, they used it to produce sperm that, through a monkey version of IVF, led to the birth of a healthy female monkey named Grady. The technique worked well enough that human testing should begin in the next few years, Orwig said. University of Pittsburgh Medical Center and a handful of other hospitals already freeze immature testicular tissue from young cancer patients, in hopes of knowing how to use it once they’re grown and ready to have their own children. Boys are born with stem cells inside little tubes in the testes, cells that start producing sperm after puberty’s testosterone jolt. Orwig’s goal: Keep sperm-producing stem cells safe from cancer treatment by freezing small pieces of testicular tissue, and using them to restore fertility later in life. How? Enter the monkey research. Orwig’s team froze tissue from young male monkeys, and then sterilized them. Once the monkeys approached puberty, the researchers thawed those tissue samples and gave them back to the original animal — implanting them just under the skin. “We’re not hooking it up to the normal plumbing,” Orwig cautioned. Boosted by hormones, the little pieces of tissue grew. Months later, the researchers removed them. Sure enough, inside was sperm they could collect and freeze. Colleagues at the Oregon National Primate Research Center injected some of that sperm into eggs from female monkeys and implanted the resulting embryos. Last April, Grady was born, and “she plays and behaves just like every other monkey that was grown the normal way,” Orwig said. If the technique sounds a little bizarre, it’s similar to a female option. Girls’ eggs are in an immature state before puberty. Researchers have removed and frozen strips of ovarian tissue harboring egg follicles from young women before cancer treatment, in hopes that when transplanted back later the immature eggs would resume development. It’s considered experimental even for young adults but some births have been reported. Now some hospitals bank ovarian tissue from girls, too. Surgery involving the boys’ testicular tissue is less invasive, noted Orwig, who also is researching ways to reinsert sperm-producing stem cells where they belong rather than the more roundabout technique. The new research shows “immature testicular tissue may become an option” to preserve boys’ fertility, Nina Neuhaus and Stefan Schlatt of the Center of Reproductive Medicine and Andrology in Muenster, Germany, wrote in an accompanying editorial. Meanwhile, “it’s important for parents to know about this,” said Christine Hanlon of Holiday, Florida, who took her son Dylan to Pittsburgh to have his tissue stored when he was newly diagnosed with Ewing’s sarcoma at age 9. Today Dylan is a healthy teen, and no one knows if he’ll ever need the stored tissue, one of more than 200 samples Orwig’s study has preserved. But Hanlon was thrilled to learn the research is moving along, just in case.